Enjoy a spot of retail therapy? Shop up a storm with one of Webjet’s great shopping holiday packages. Whether you love to indulge in a touch of retail therapy by yourself, with a partner or with the whole family in tow, Webjet offers plenty of great shopping holiday packages to match both your budget and travel plans. From budget friendly fast fashion and high end designer clothing through to electronics, homewares and jewellery, there are countless opportunities to shop up a storm across the globe. Wander through department stores in the world’s fashion capitals, including London, Paris and New York, explore the stalls of local markets across Southeast Asia, or feast your eyes on the wares of boutiques across Europe, North America and beyond. 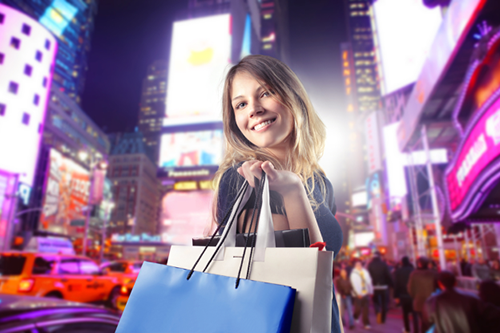 Regardless of what your spending budget may be, there’s a domestic or international shopping destination just waiting for you to shop until you drop. Regardless of if you’re looking to splash out on a stay in a 5 star hotel, or are wanting to save as much of your hard earnt money as possible for shopping, there’s a great selection of accommodation options to choose from across both Australia and globe. Book with Webjet and make the most of added extras such as free wireless internet, breakfast for two and free parking. Webjet’s shopping holiday packages are a great way to help you stretch your travel budget further. Simply select your accommodation, choose your travel dates and save.